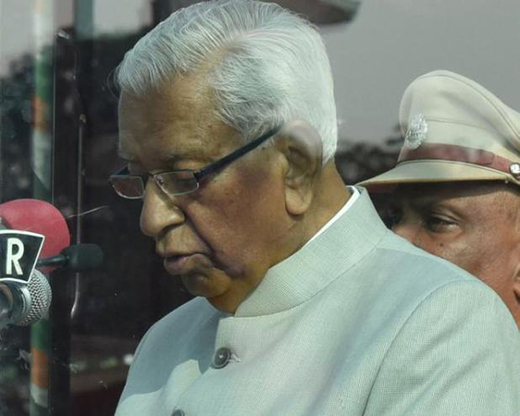 Bengaluru, Dec 07, 2017 : Governor Vajubhai R Vala has referred the bill to ensure reservation in promotion to SC/ST employees. This bill was passed by the state legislature passed recently to circumvent a Supreme Court order that struck down the provision. Law Minister T B Jayachandra remained mum on the grounds on which the Governor wanted the President to clear the Bill. Karnataka introduced reservation in promotions for the SC/ST employees in April 1978. Around 3,000 SC/ST employees working in 63 government departments will face demotions if the apex court order is implemented. "We have explained in the Bill why it is necessary, given the Supreme Court order. The Governor has reserved the Bill for Presidential assent," Jayachandra said. As per the apex court order, the State government has prepared new seniority lists for about 80% of the departments, Jayachandra said. "The SC order has to be implemented by January 15." With the Bill now awaiting the President’s nod, the government will now seek the advocate general’s opinion on whether the SC order continues to be in force, the minister said.